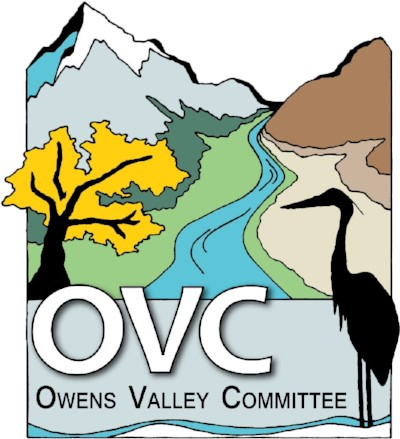 We received the below from our friends at the Owens Valley Committee about a plan for the re-classification of the Owens River basin from a high-priority to a low-priority basin. This change would allow MORE water to leave our area – with major implications! Please show up this afternoon (Wednesday, August 15) at the Bishop Fire Training Center on E Line St. at 2pm! You don’t have to speak – your presence will speak volumes and will support the Owens Valley Committee and others who are fighting this harmful change. This is an emergency! At the OVGA meeting on Wednesday, August 15th, there is a proposal to change the Department of Water Resources classification of our basin from a high priority basin to a low priority basin. 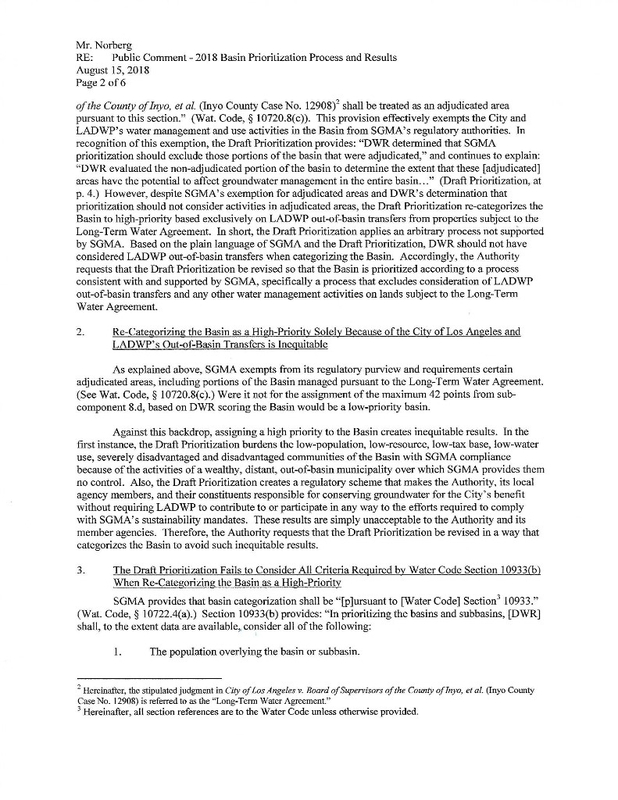 This will have serious implications for the future of the Owens River Subbasin and the Fish Slough Subbasin. 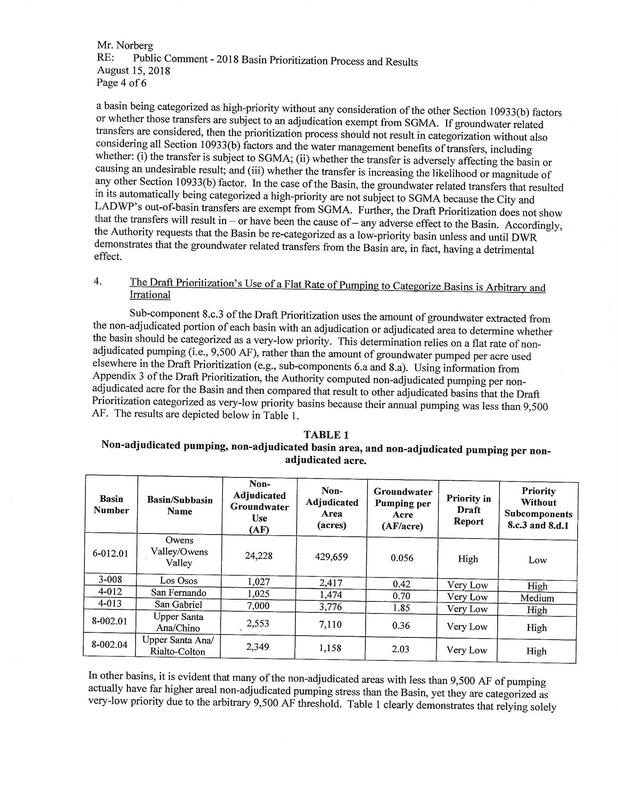 It also opens the door for further transfers from our basin to another basin (the Indian Wells Groundwater Basin). 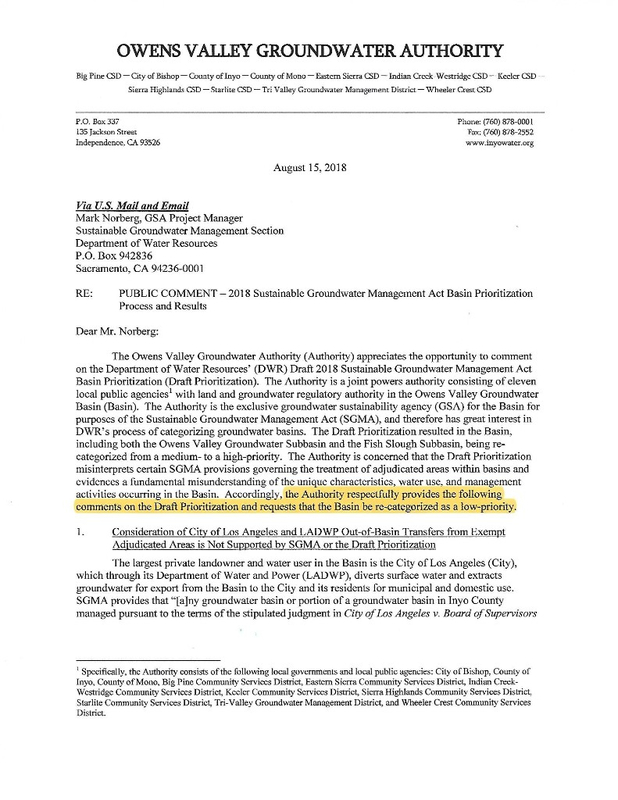 That has implications for Mono County Leases, because the City of Los Angeles is claiming that everything has to be “water neutral”. 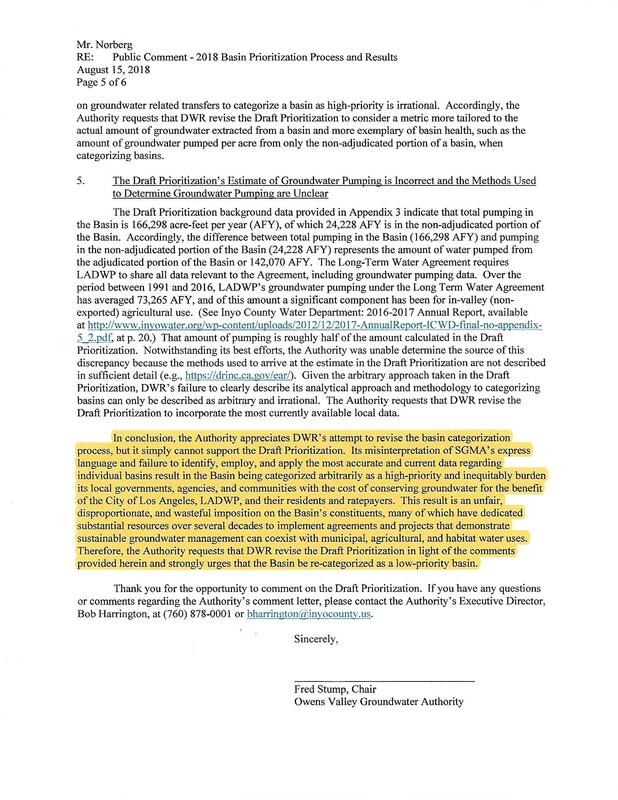 It is about the money and work, not about the long term sustainability of our aquifers. Please write letters, protest, show up and let the OVGA know what you think about this! We realize this is very short notice, but if you can’t make the meeting, please send your comments to the members of the OVGA by August 20. 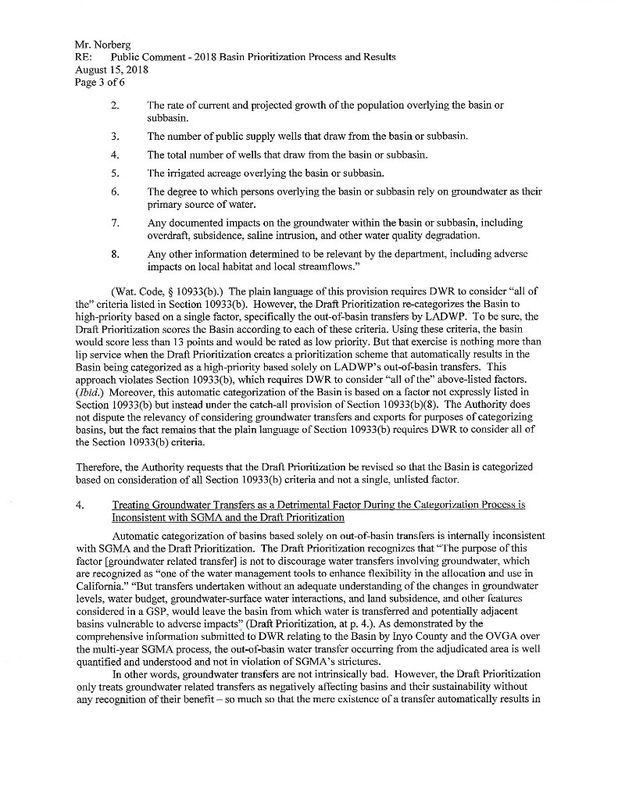 Below is a copy of OVGA’s proposal.